Investing in your landscaping and garden can have a significant, positive impact upon your home – creating an inviting and beautiful outdoor living space for all to enjoy all year round. 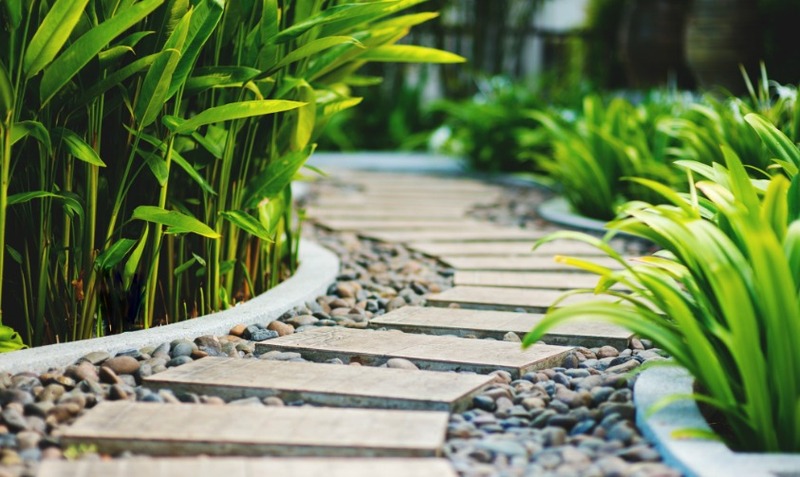 In this Aston Homes blog, we offer expert landscaping advice that’s sustainable, Australian-friendly, drought-hardy and great in a variety of seasonal conditions. Creating a raised flower bed or vegetable garden with distinct borders is a sure-fire way to add a unique element to your garden and prevent moisture loss! Wicking beds have a waterproof liner that prevents water from leaving the bottom of the bed, creating a water reserve underneath the soil. Consider planting drought-tolerant herbs such as oregano and thyme, as they don’t require excessive water. Mulch is also essential to conserving moisture in drought-conscious gardens whilst adding an aesthetically pleasing element. Incorporating lighting into landscaping design enhances an outdoor living area and provides an opportunity to enjoy alfresco dinner and drinks well into the evening. The wide variety of weatherproof lighting options available allows you to get creative and curate an outdoor area that’s truly your own! For inspiration, find an informative guide to outdoor lighting here. Installing a pergola, patio or verandah is a practical investment that will enhance your outdoor entertainment space all year ‘round. Whether you prefer to complement your space with a BBQ area, trendy fire-pit or even hang a TV, having a shaded area will make a world of difference to your outdoor enjoyment. Adding a sophisticated set of weather resistant outdoor blinds will help protect you from unpredictable weather conditions – which means parties can be enjoyed in all seasons! The use of gravel and stone adds a contemporary, minimalist ambience to any outdoor living area. Not only does it look gorgeous, this landscaping treasure is inexpensive, low maintenance and offers environmental benefits – it doesn’t require water! We love the concept of combining gravel and stone with tiled steps to create a pathway that leads to your garden’s focal point. Fire pits and water features beautifully complement this paving design and add a stylish finish to your outdoor living space. Find inspiration here. The Aston Homes team understands the importance of maintaining a low-maintenance, sustainable garden and alfresco zone. Follow our helpful landscaping tips, and don’t forget to send a photo of the result to our Instagram or Facebook page!